Sure, it's cheap. But how does it taste? 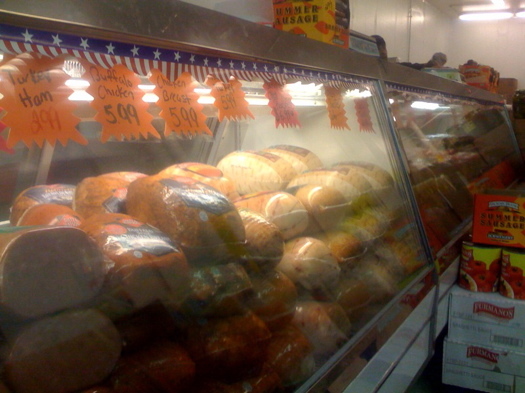 Deli meats and cheeses aren't cheap. So when I saw a commercial for the Deli Warehouse that advertised $2.99 roast beef, I had to check it out. I mean, roast beef? For $2.99? Price Chopper and Hannaford charge between $7.99 and $10.99 a pound for that stuff. So really, how good could $2.99 roast beef taste? Opening Sunday at Albany Flea. So if you've been to At The Warehouse - the salvage/ craft / flea market behind the Miss Albany Diner, you know the place is kind of a hodge-podge of interesting finds. If you're in the market for a giant stoplight, or some handmade jewelery, some restored old chairs, a little artisan honey, or a vintage doorknob, it's a good place to look. But last Sunday they kicked off something new - Albany Flea. It's a weekly outdoor flea market that will be open every Sunday through October. Greens -- the gift that keeps on giving. OK, here's a great gift idea that "keeps on giving." 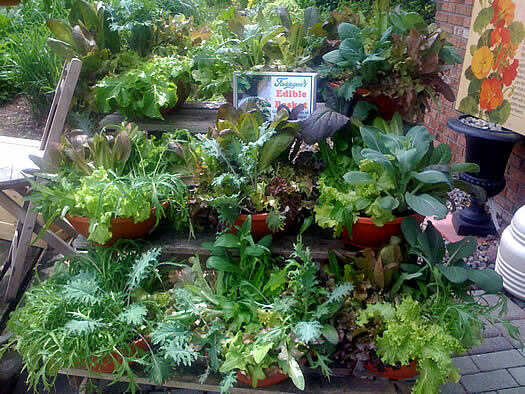 In lieu of flowers, you might want to bring a friend a basket of edible salad greens. I found these at Faddegon's Nursery in Latham. They're pretty, they're yummy and they're good for you! Plenty of people have taken up knitting, but if you want to create something "really" handmade here's the closest way short of shearing the sheep yourself --spinning your own yarn. So by now it's no secret that I like my french toast. 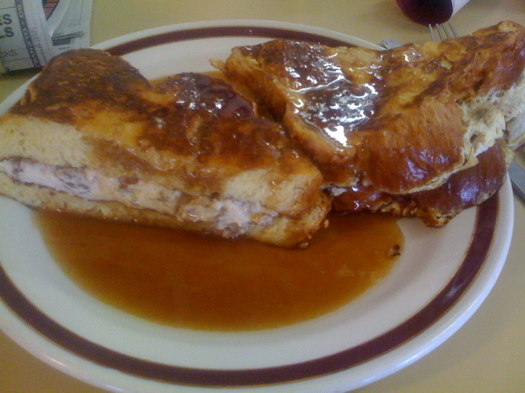 But here's the thing about french toast at the Miss Albany Diner -- I can get it with a little side of nostalgia. This old pre-fab diner was built by Silk City in New Jersey and delivered to Broadway in Albany in 1941. The counter tops, the stools, the train car feel all take you back. And with dishes like Spam and Eggs, so will the menu. But my personal fav at the Miss Albany is the MAD Irish Toast. 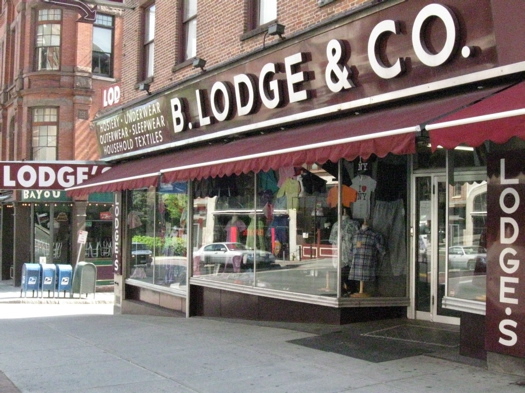 B. Lodge is old school. Really old school. 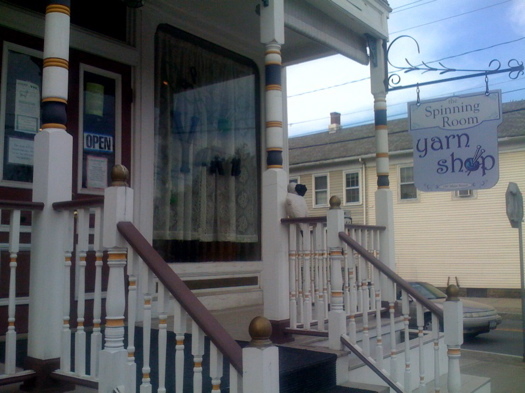 â€¨â€¨Albany's oldest store (established in 1867, according to the sign out front) has been on my "to visit" list for years, and last week I finally made it. In a word -- eclectic. How does your garden grow? 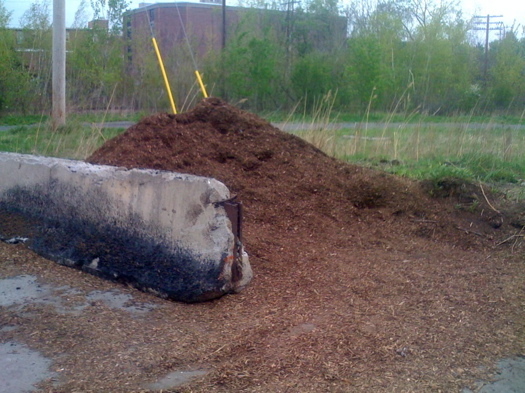 With free mulch and compost. Sometimes being a good shopper is knowing what you can actually get for free. So, here's a deal for the savvy gardener -- free mulch. Well, it's only free to Albany residents. For everyone else, it's still a pretty good deal. â€¨â€¨Everywhere I go, it seems like the magazine selection is shrinking, from the bookstores to the supermarket. Everywhere except Friar Tuck in Delmar. 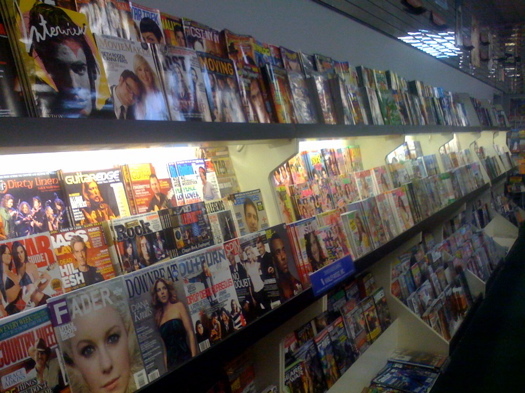 This newsroom/cigar store/ bookshop still stocks more than 5,000 magazines -- with lots of familiar titles and plenty that the big mall stores just don't carry. 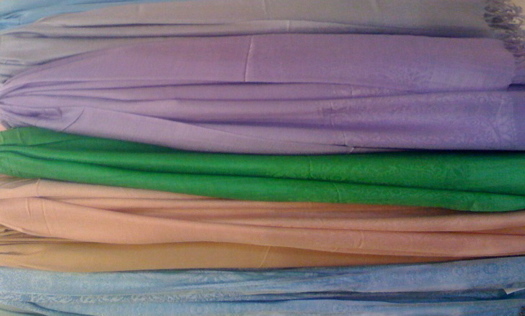 Baby blankets from Clearly Yours. 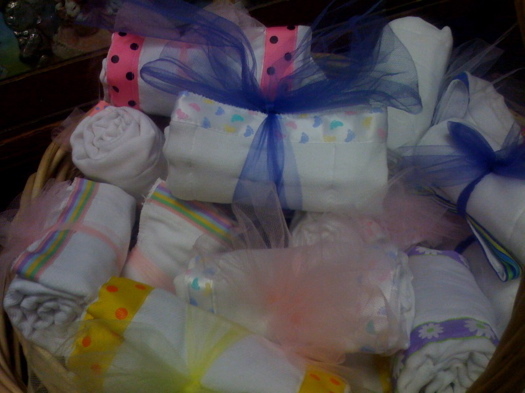 â€¨â€¨I don't think I've ever been to a baby shower where I haven't given the same gift someone else is giving. Which is why I was immediately ready to stock up for the half-dozen moms-to-be I know when I saw these adorable ribbon-adorned baby bodysuits, blankets, and burp cloths at Clearly Yours in Latham. 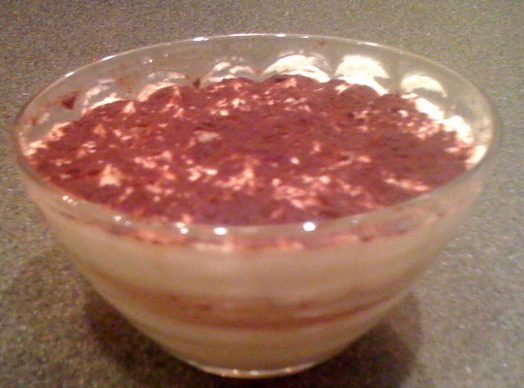 Oh tiramisu, how I love you when you're made just right. Alas, tiramisu is one of those desserts that is hit or miss at restaurants and not something I make myself -- so it was always been a rare treat for me. Until I went to Ragonese Imports. It's a wrap. Well, actually -- it's a lot of wraps. The workhorse of winter fashion will help get you over the hump until summer comes and then protect you from overzealous air conditioning. The problem is that it's darn near impossible to make those heavier fabrics and bold colors transition for warm weather dressing. So it's time to invest in a spring or summer wrap. I found a pretty large selection of styles (solids, jacquards, animal prints, and more) in cottons, silks, and acrylic blends at Burlington Coat Factory in Crossgates. The prices are pretty affordable, $7.99 to $12.99. Just watch out for the ones with fringe -- they tend to get caught on everything. Here's a way to get more mileage out of handbags and accessories. 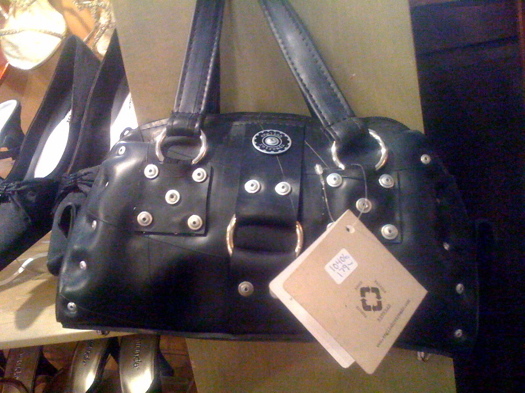 The other day I stumbled on these cool bags and belts made from used truck inner tubes. Sweet, salty, crispy goodness. And yeah, you probably can't eat just one. 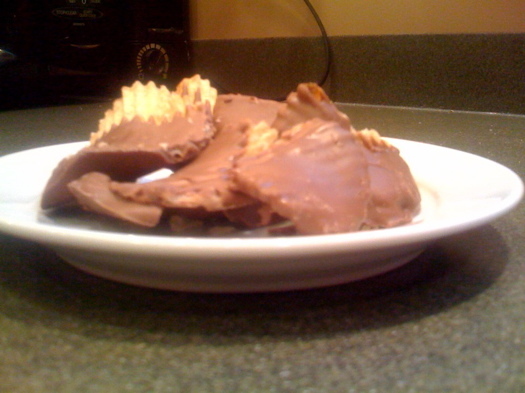 Chocolate-dipped potato chips -- I know, it sounds risky, doesn't it? Would they be greasy? Soggy? Too sweet? Too salty? Well, my kids and I took one for the AOA team and stopped in at Isn't it Sweet to give them a try. EB Essentials on Lark St. 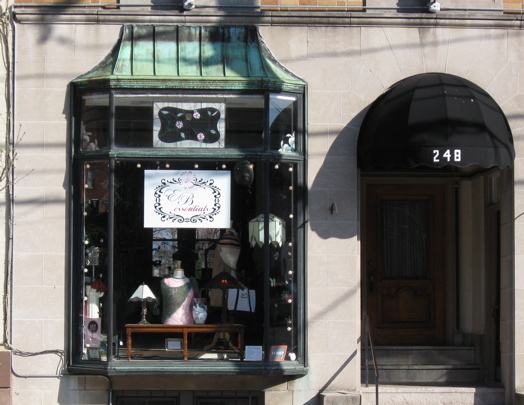 If you've strolled down Lark street after 5PM, you may have wandered into EB Essentials. If you've strolled down Lark Street before 5PM, you may have seen some of their locally made gifts from the window, tried to get in and whimpered a little from the other side of the glass. If you've never been shopping with a 6 year old fashionista --you don't know what you're missing. A few weeks ago I thought it would be fun to take my 6 year old -- Emma --shopping with me for new eyeglasses. Now here's the thing about Emma: for a first-grader -- well, let's just say Emma's pretty sure of her own mind. Case in point, she recently told me I should "cover up" before going to volunteer at her school, "You know, everyone will know you're pregnant if you don't." Also, Emma's quite the F.I.T. (fashionista in training) with her slim fit only jeans (nothing baggy will do), sparkly t-shirts (the more sparkle the better) and her pink and purple sneakers. She has some pretty definite ideas about what passes for style. Anyway, my frames were about five years old. Emma desperately wants a pair of her own (so much that I bought cheap dollar store reading glasses and popped out the lenses for her) and jumped at the chance to pick out glasses "for real." 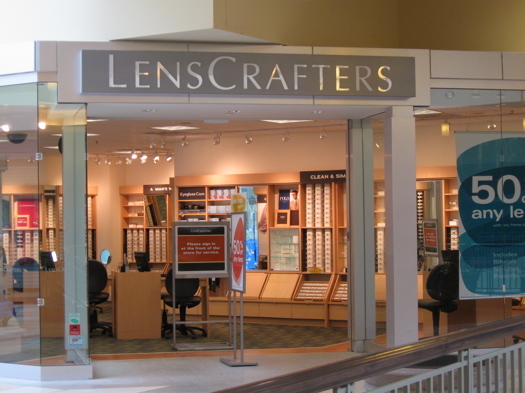 So, off to LensCrafters in Colonie Center we go. Mild mannered stationary store on the outside, mad hatter on the inside. Hats are not the first thing you'd expect to see at Soave Faire. 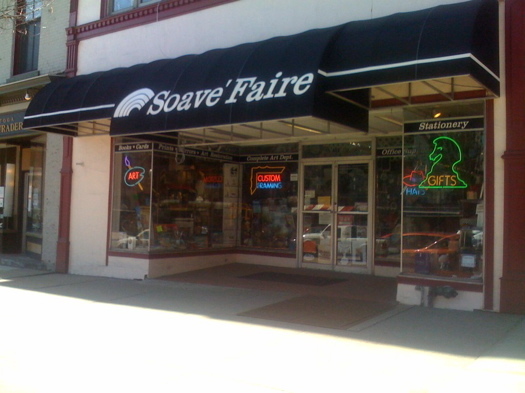 This throwback to old fashioned five and dime stores on Broadway in Saratoga is packed with the weirdest conglomeration of stuff: art supplies, toys, journals, cards, drafting supplies, museum cards and Saratoga souvenirs . And in the back, they do custom framing. But I'm going back for the hats. 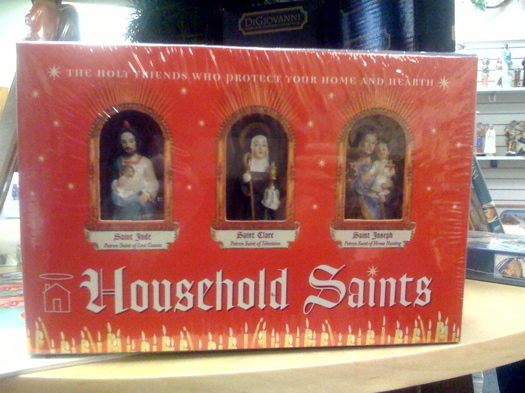 Household Saints. Hey, you never know. Because you wouldn't want your Glitter Jesus to get lonely, would you? What can they do for you? I'm glad you asked. 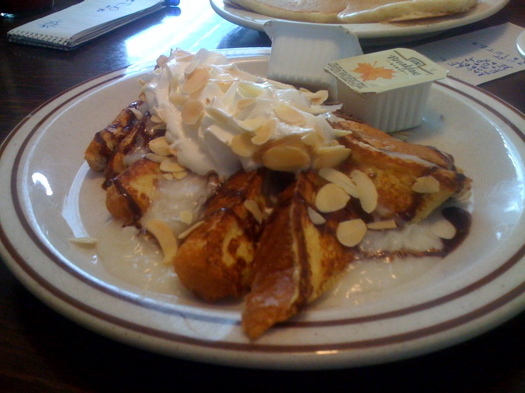 Almond Joy french toast. Sure, it's photogenic-- but how does it taste. You know how, when something sounds too good to be true, you almost don't even want to try it? You just know it probably is too good to be true. And really, why set yourself up for disappointment. That's how I felt when I heard about the almond joy french toast at Mike's Diner on Carman Road in Schenectady. I mean, French toast + candy couldn't possibly be as good as it sounds.